Let’s break the monotony of age-old dancing and painting classes! Kumon has been helping millions of children excel in Maths and English globally, for more than 60 years now. They believe in “self-learning” which means no teacher, no textbook, and no blackboard. Students learn through solving worksheets. Trained Instructors and Centre staff timely assist and guide them. Each child progresses at his own pace, students in Class 1 could be solving problems corresponding to Class 4 math and so on. Thus the kids sharpen their analytical and comprehension skills. Psst…They take enrolments throughout the year. Apart from enhancing physical ability, karate strengthens mental agility. Sanjay Karate School imparts general training in karate, along with inculcating discipline. They go an extra mile to motivate the kids by giving the mothers a check sheet listing daily chores like homework, helping around the house etc. If a student’s sheet reads all the checks he/she becomes the star student of the month. 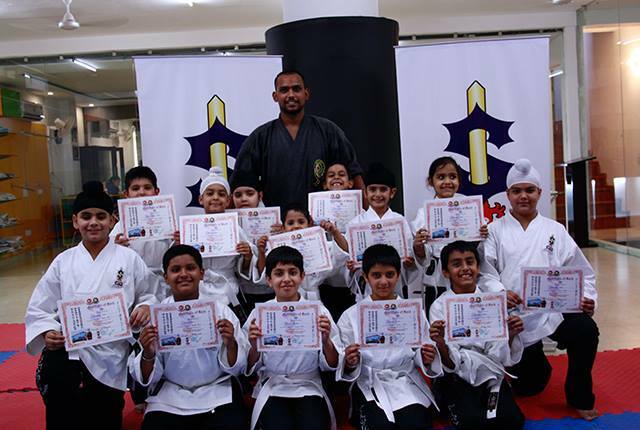 Kids at the Sanjay Karate School upon completion of their level. Mother- Toddler programs for kids aged between 6 months – 2 years old before they step on to Pre-nursery and Nursery. 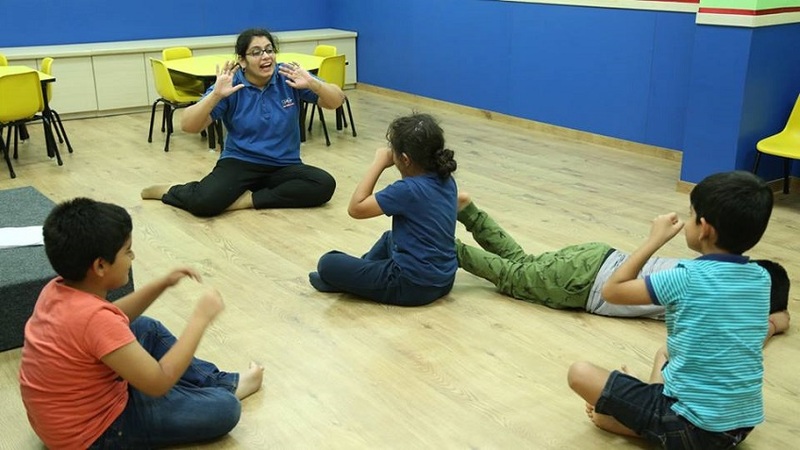 The Speech n Drama – Certified by Trinity College London is designed to encourage the progressive development of integrated performance and communication skills over time. 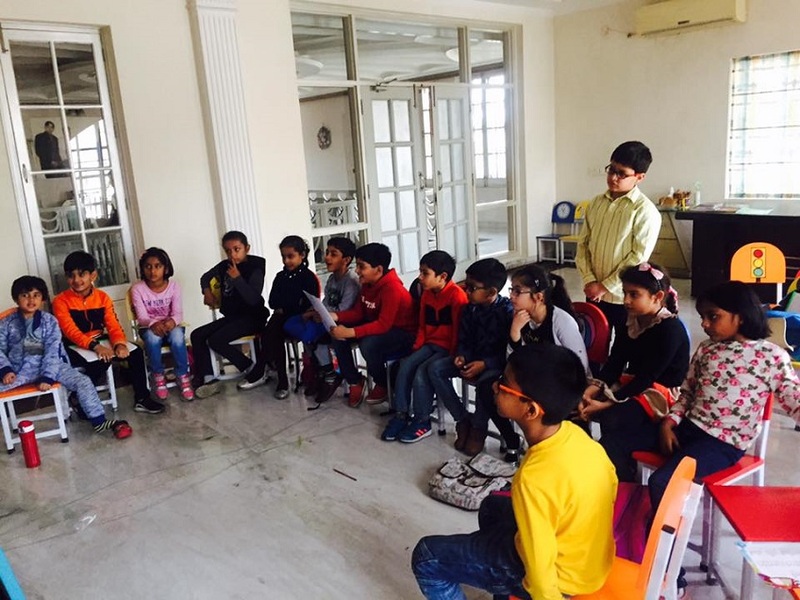 The Learning Cafe with its bundle of activities helps in the holistic development of your child – Language Enhancement (World of Idioms & Spelling Bee), Geographic knowledge (Around the World), Astronomy (The Mysteries of Space), Art, Etiquettes, Calligraphy, Dance (Ballet, Zumba, Classical, Salsa etc), Musical Instruments, Sports, Chess and a lot more… They just concluded an exciting summer camp. For further activities, you can check out their Facebook Page. Look, how keenly the kids are participating in the on going activity! In today’s day and age, learning at least one foreign language has become a norm. In fact it is easier for a child to grasp a new language as compared to an adult. The Learning Link offers French & Spanish and teaches it in a fun and exciting environment through unique methodology. Thank you so much for writing in. We are glad that you liked this. Keep following us for more. Thank you so much for writing in. Yes, the city is picking up and how! We will be doing more such posts in the future. Keep following us for more. Thank you so much. We will be doing more such posts to keep our parent focused audience interested. Given the plethora of activities these places offer, it is slightly difficult to list the cost of them all. In order to make communication effective, we have provided the contact details of all the places so that you can get in touch with them directly and get all your queries answered. Hope this helps.